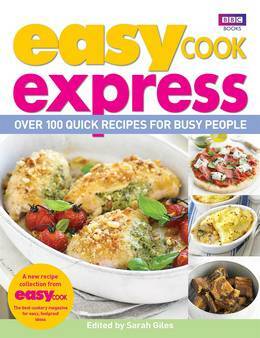 Following the success of The Easy Cook Cookbook, Easy Cook editor Sarah Giles, has put together a fantastic new collection of over 100 stress-free, quick and easy recipes. Divided into two helpful parts, 'Everyday Food' and 'Weekend Food', the recipes have been carefully chosen to reflect the needs of busy people: 'easy thirty-minute suppers', 'easy recipes for kids', 'easy packed lunch ideas' for work, and 'easy takeaway', which includes delicious homemade recipes for all your friday-night favourites. And for the weekend, try 'easy brunch' and 'easy roasts' for lazy days and 'easy entertaining' and 'easy baking' for clever ideas for starters, mains, desserts with menu suggestions and lots of tempting bakes and cakes. This is the perfect cookbook for busy people who love good food but don't have much time to spend in the kitchen.